Velvet S. Taylor was a contract specialist/contracting officer for the US Army’s Aviation Applied Technology Directorate (AATD)/Army Contracting Command at Ft. Eustis, Virginia. Taylor made key contributions to several significant programs that advance the state of technology for vertical lift. She was instrumental in the success of the Autonomous Technologies for Unmanned Air Systems (ATUAS), the competition and execution of the Vertical Lift Research Centers of Excellence (VLRCOEs), the National Rotorcraft Technology Center (NRTC) program, the Joint Heavy Lift (JHL) design studies, and AATD’s Scientific, Professional, and Other Technical Services (SPOTS) contract, which supported numerous other efforts. 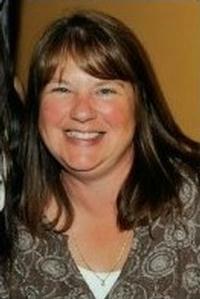 Velvet Sartori Taylor, 49, of Seaford, Virginia passed away unexpectedly on January 23, 2015. Taylor’s expertise, advice, dedication and warmth will be greatly missed by those within the rotorcraft community.